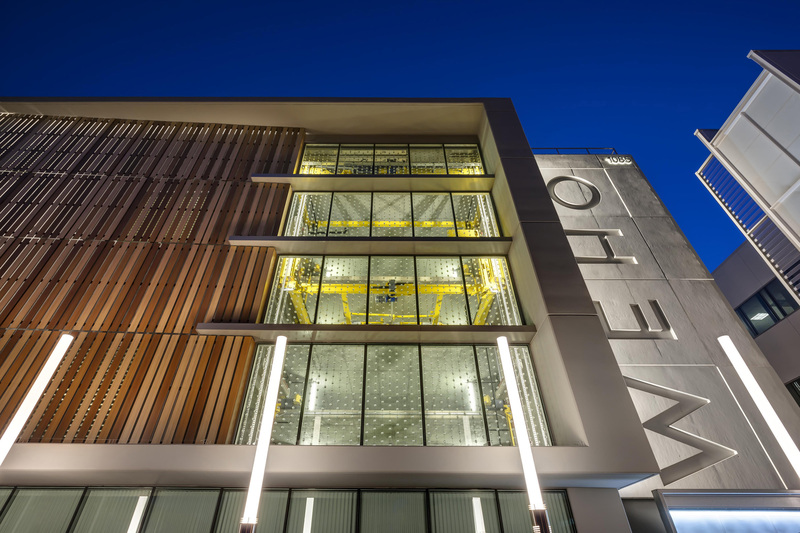 West Hollywood Debuts Automated Parking Garage Designed by LPA Inc. 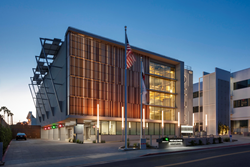 The structure is the first municipal fully-automated parking garage on the West Coast and was designed with environmentally-responsible solutions. The fully-automated parking garage in West Hollywood, California is the first of its kind on the West Coast for a municipality. LPA was more than just the designer, they were the City’s partner for this innovative project. 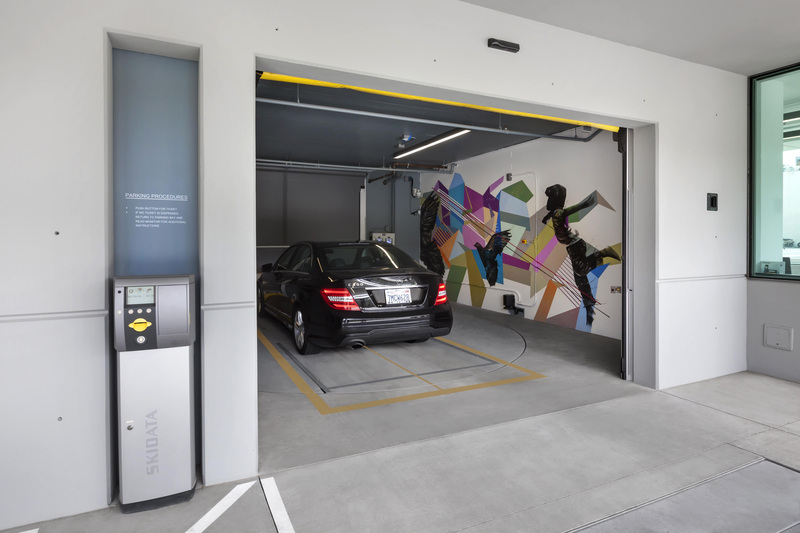 Designed by one of the California’s largest integrated sustainable design firms, LPA Inc., the first municipal fully-automated parking garage on the West Coast recently held its grand opening in West Hollywood, California. City staff, community members and media gathered to celebrate the grand opening of the new state-of-the-art, sustainable parking solution. 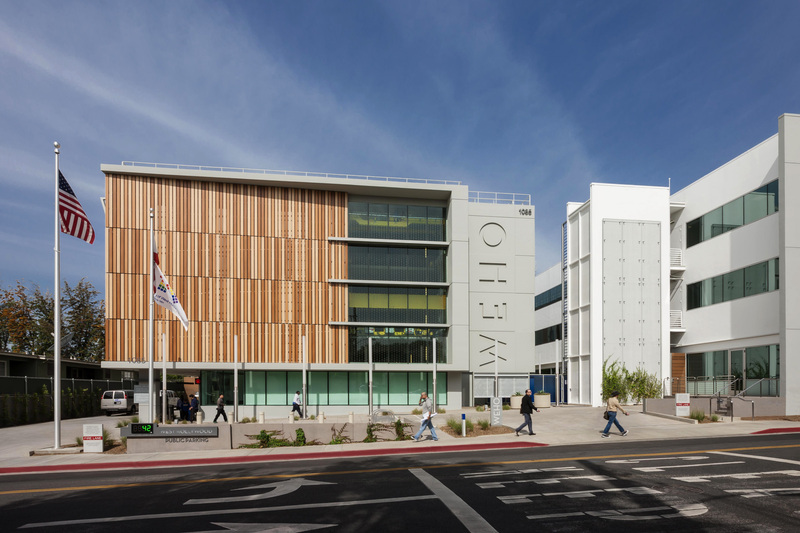 In partnership with the city of West Hollywood and Unitronics, an international leader in automated parking systems, the fully-automated parking structure contains four bays for entry and exit as well as an outdoor community plaza area for community events. After years of suffering with less than one-third the required and needed vehicle parking adjacent to the existing city hall, the new parking garage will provide 200 automobile parking spaces for use by the city staff, residences and local businesses. Further emphasizing the progressive sustainable attitude adopted by the city of West Hollywood, and true to form of LPA’s sustainable design approach, the structure provides a clean, environmentally-friendly alternative to conventional parking systems. Since the automobiles are non-operational during the parking and retrieval process, the reduction in carbon dioxide emissions equates to removing 92 cars from the road each year or the planting of 67,000 trees. Additionally, the shell surrounding the warehouse is designed with state-of-the-art environmentally-friendly materials such as composite wood panels made primarily from recycled plastic grocery bags. The structure also includes roof-mounted photovoltaic solar panels and uses drought-tolerant landscaping. LPA’s integrated design services included architecture, lighting, landscape and graphics. 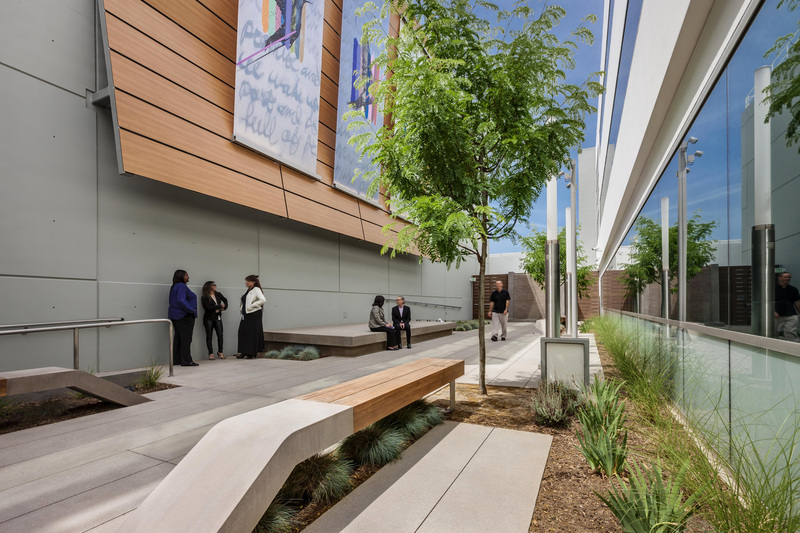 Working directly with local and international artists, the parking structure integrates public art directly into the architectural design of the facility. The project resulted in a user-friendly and environmentally-responsible parking solution that will provide a safe, convenient and sustainable parking structure for the city and its members. Founded in 1965, LPA has more than 350 employees with offices in San Antonio and Irvine, Sacramento, San Diego and San Jose, California. The firm provides services in architecture, sustainability, planning, interior design, landscape architecture, engineering and graphics. With a proven commitment to integrated sustainable design, LPA designs facilities that span from K-12 schools, colleges and universities to corporate and civic establishments. More than 700 major design awards attest to LPA’s commitment to design excellence. For more information, visit http://www.lpainc.com. The new parking garage will provide 200 automobile parking spaces for use by the city staff, residences and local businesses. The shell surrounding the garage includes environmentally-friendly materials such as composite wood panels made from recycled grocery bags. The parking structure integrates public art directly into the architectural design of the facility. The project will provide a safe, convenient and sustainable parking solution for the city and its members.